Granular insight into app advertising and marketing strategies. Ad Intelligence makes it easy to unlock any apps’ advertising strategy. 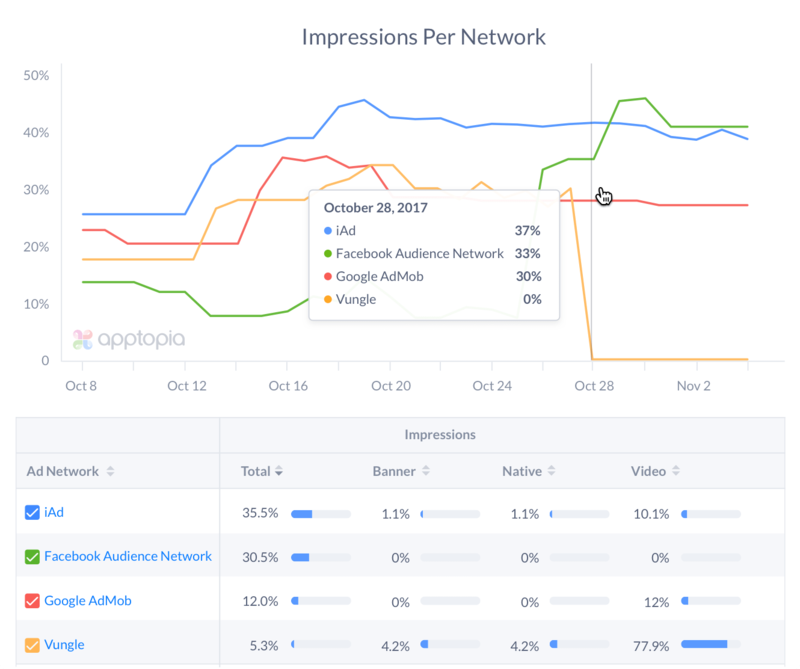 Easily measure key metrics like ad spend across all of the most popular networks over time. View estimates for how and where ad inventory is displayed to gain insight into user acquisition strategies. Learn from the best by analyzing the top performing ads in any category.